I almost didn’t post this cake. It has flaws and wasn’t up to par with my perfectionist self, then I thought…but it tastes good! 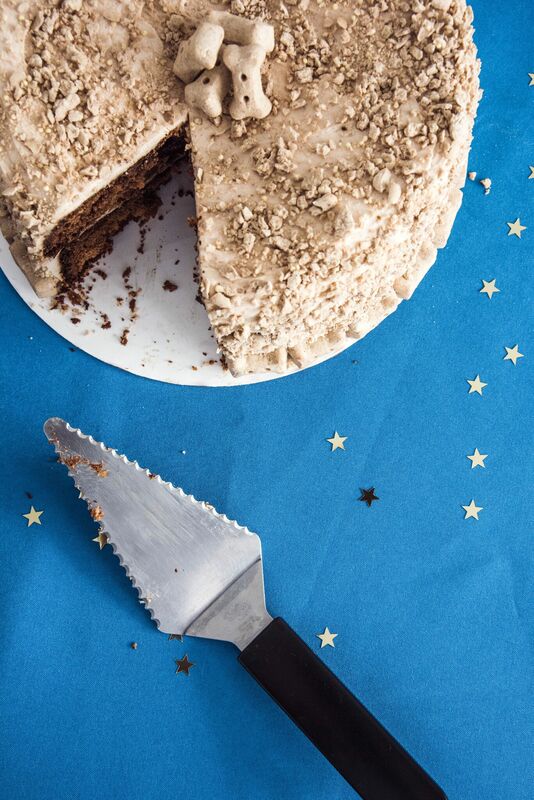 It might not look pinterest perfect, but this chocolate stout beer cake with beer frosting still deserves it’s moment. And sometimes, it’s ok to post a project with flaws. I know when I see someone else do it, it makes me feel a little more adequate. I’m not a professional cake maker, and don’t claim to be. But I love making cakes (and eating them! ), and this cake is just one more notch in my cake baking experience column. It snowed in Utah today. Snow. Apparently Spring decided to stay on vacation this year, because she doesn’t seem to be showing up anytime soon. So, until warmer weather decides to come my way, I’ll just have to force a little bit of ambiance inside. 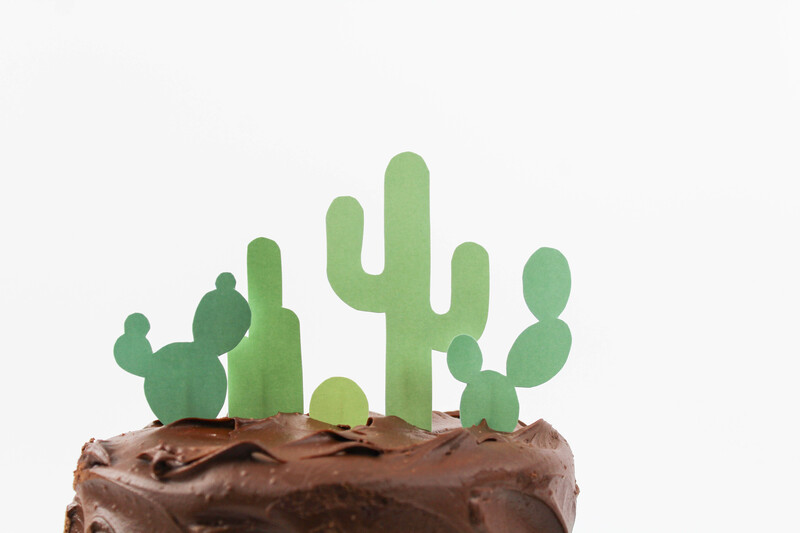 This adorable printable cactus cake topper has me dreaming of warmer Arizona days. I was there last month for Spring Training with a friend, and we went on a cactus quest. My love for cacti runs deep and Arizona doesn’t disappoint in the cactus department. There is only about a week left before Halloween and that means a weekend packed full of Halloween activities and events. 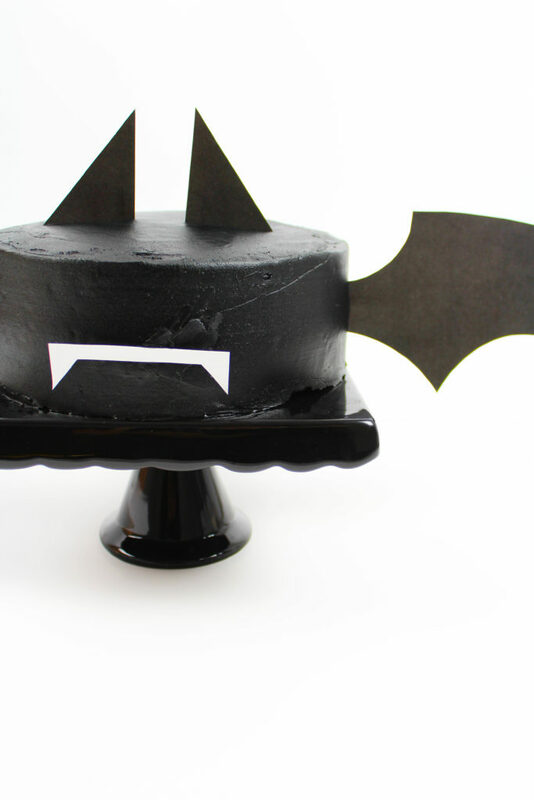 If you’re avoiding those Halloween parties because you have to bring a treat, don’t. 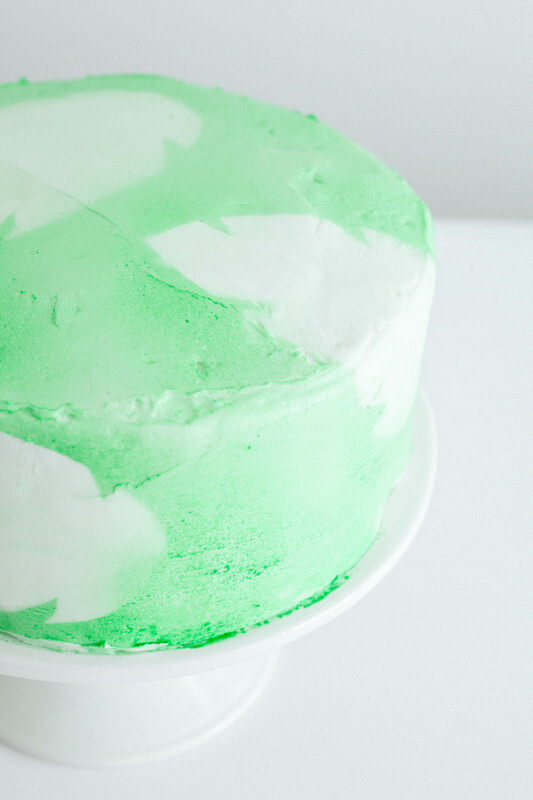 I’m sharing another grocery store cake hack with you guys and this one is a BREEZE, and the easiest cake hack to date. 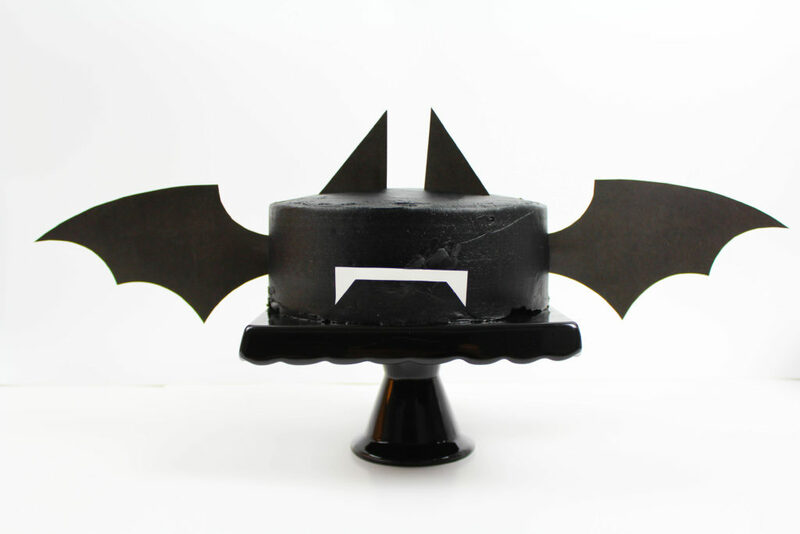 This Halloween bat cake takes no time to put together and it’s just waiting to be placed on a party table! No matter how old I get, I’ve realized that I’m still a kid at heart and LOVE cereal. (I eat it for dinner more than I should probably admit). But, as we get older, there are some other fun ways to enjoy cereal, besides just in a cereal bowl for breakfast (or dinner!). 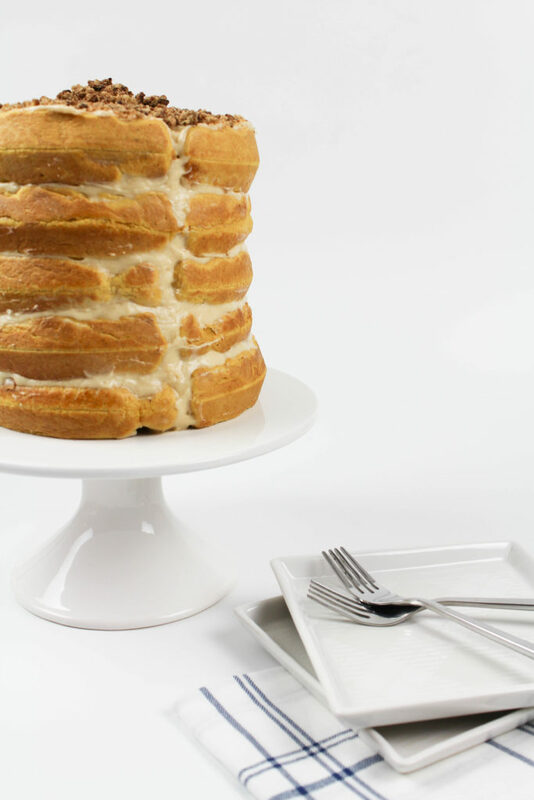 This milk and cereal cake recipe is a great way to transform a breakfast staple into something fun for a birthday, special occasion, or just a way to get your kids to giggle when they find out you’ve put cereal into their cake. I don’t mess around when it comes to cake hacks. I’m all about ease. 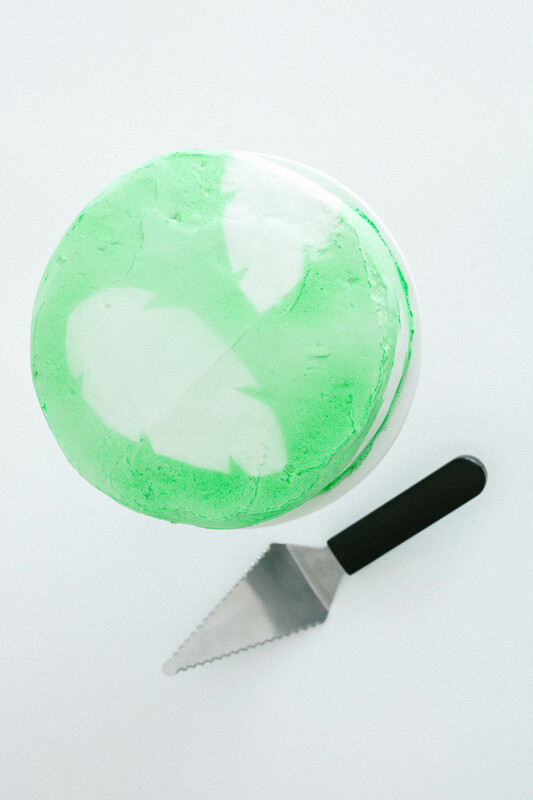 After all, isn’t that the whole point to this cake hack business anyway? 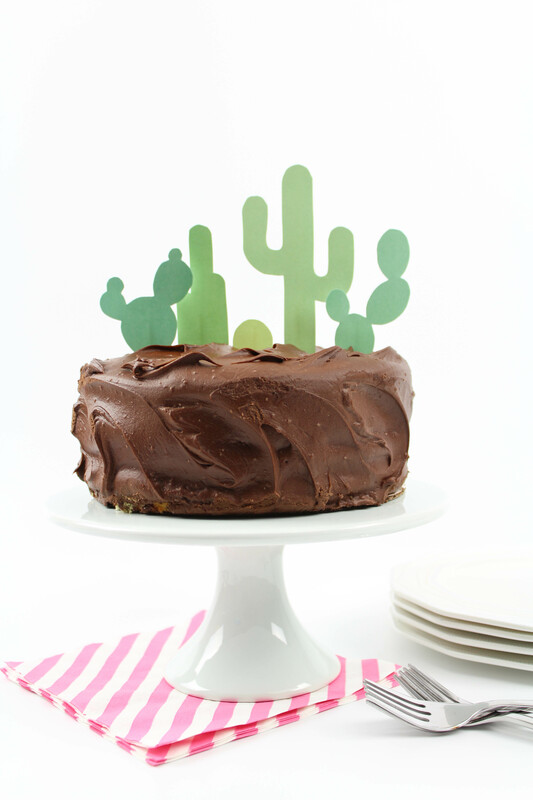 And today’s cake hack might be the easiest one to date. This spray painted cake will prove that spray paint isn’t just for your DIY projects! July is full of many important dates, but there is one that remains one of my very faves. 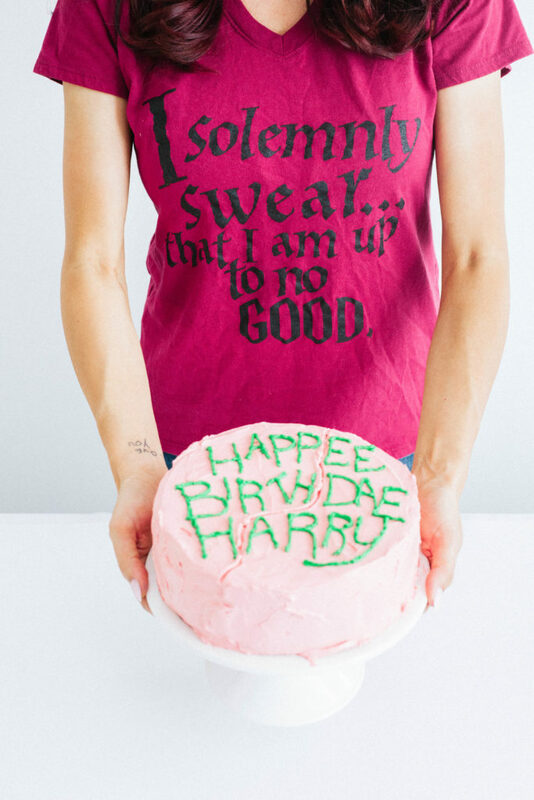 It’s July 31st and for my fellow Harry Potter fans, you know EXACTLY what this date symbolizes…the one and only birthday of Mr. Harry Potter, himself. 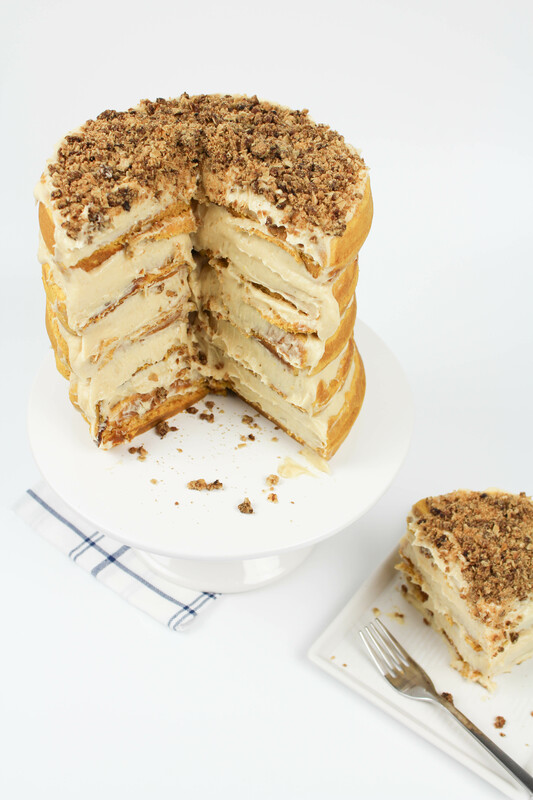 It just didn’t seem right not to do something festive, so in true Let’s Mingle fashion, I whipped up a Harry Potter Butterbeer Birthday Cake to celebrate! 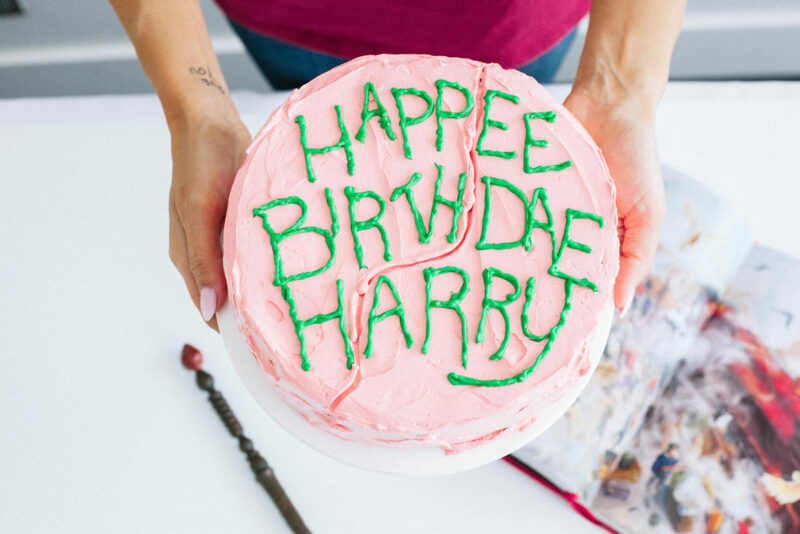 This cake is decorated to be a replica of the birthday cake that Hagrid gives to Harry for his eleventh birthday, but I did switch things up a little bit to up the ante. 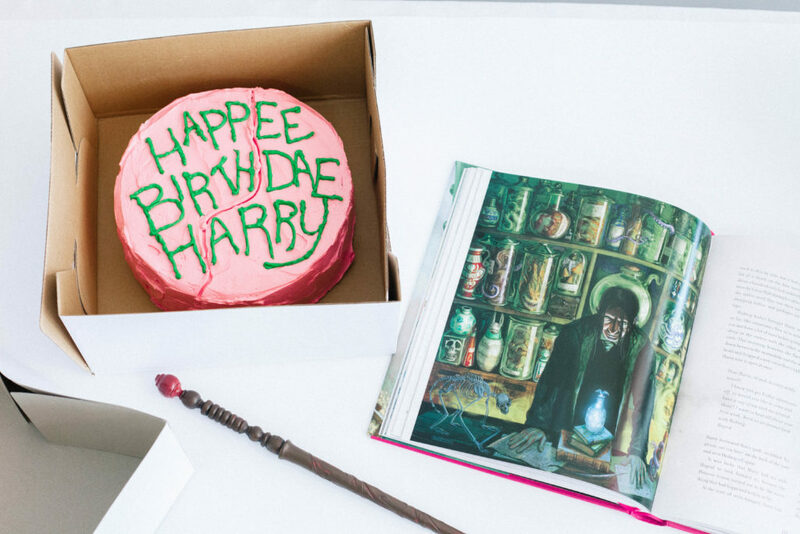 Instead of the traditional chocolate cake that he’s given in the book, I went with a butterbeer cake, because BUTTERBEER. No brainer there. Is Fido turning another year older? 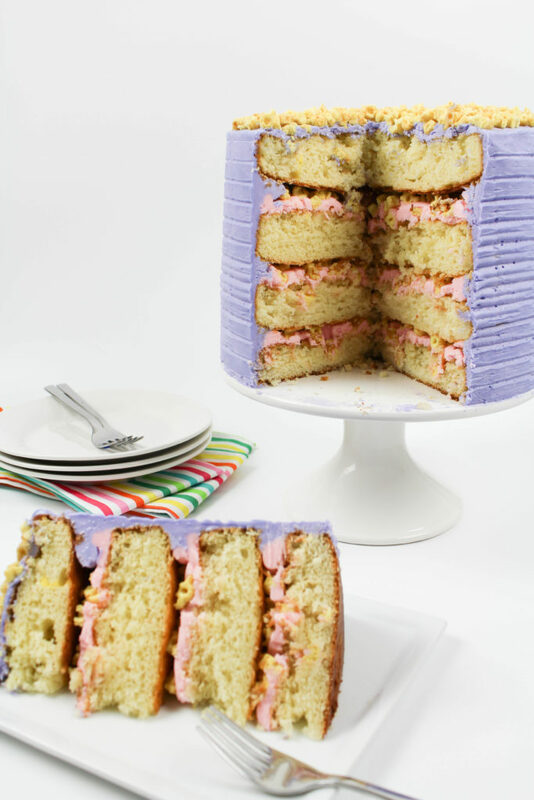 This dog birthday cake recipe is super easy to make and will get you two paws up from your furry friend! I’m definitely a dog person. I have been my whole life. I’m also a birthday person. Maybe not so much that whole part about turning another year older, but I do love any excuse to get together with friends and family and celebrate over cake, because…CAKE. Enough said there. (And, just for the record, a birthday is not a birthday without cake!) So, as much as my own dogs are a part of my family, you can bet that I’m going to celebrate their yearly milestones too! Today’s dog birthday cake recipe has been given two paws up by my own pugs and is really easy to make. I’m sure the pups in your life will be just as happy to turn another year older too, if they know this cake is on the menu!